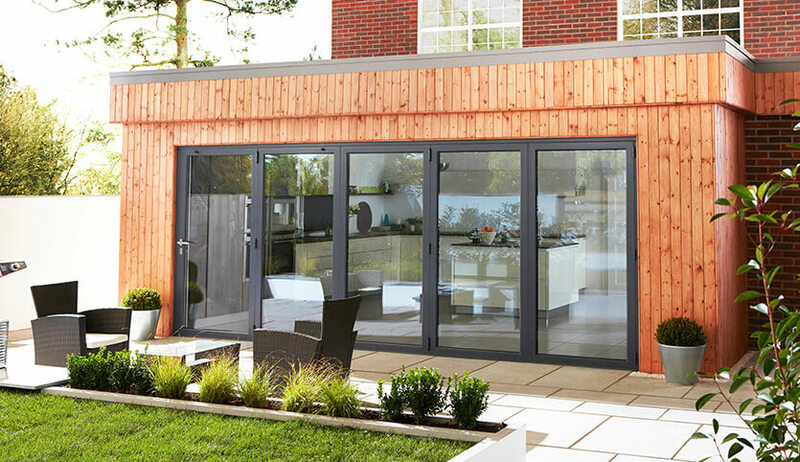 An increasingly popular choice with UK homeowners, bi-fold doors provide increased natural light, space optimisation, and excellent performance. Their wide opening capacity creates a seamless link between your interior and exterior spaces and when closed their slim sightlines provide panoramic views of your garden and outdoor area. 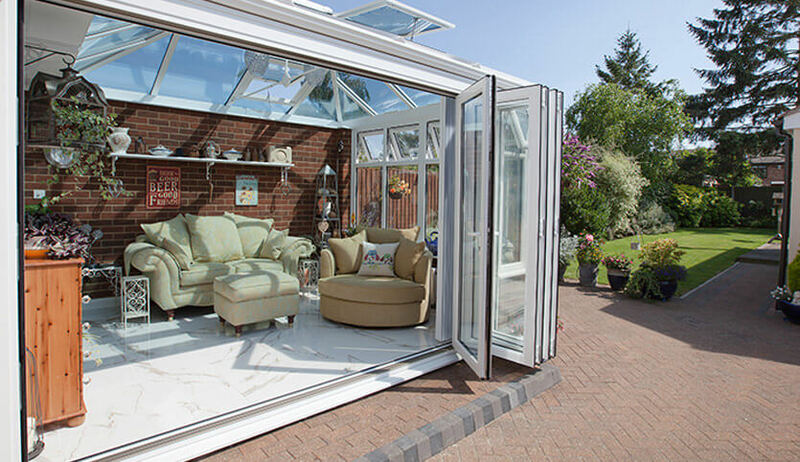 Bi-fold doors function on an easy to use sliding track system. Each door panel smoothly slides open and folds back concertina style. The door panels neatly stack to one side to maximise interior floor space. They are an excellent as an alternative to sliding or swing patio doors and can also be used between two interior rooms, acting as a temporary partition and opening up to provide a contemporary open plan living area. Our bi-fold doors are available in uPVC, timber, or aluminium. Whatever the style of your home, we can install the perfect bi-fold doors for you. With high quality glazing and super secure locking systems as standard, you’ll be the envy of your neighbours with a stylish set of new bi-fold doors. 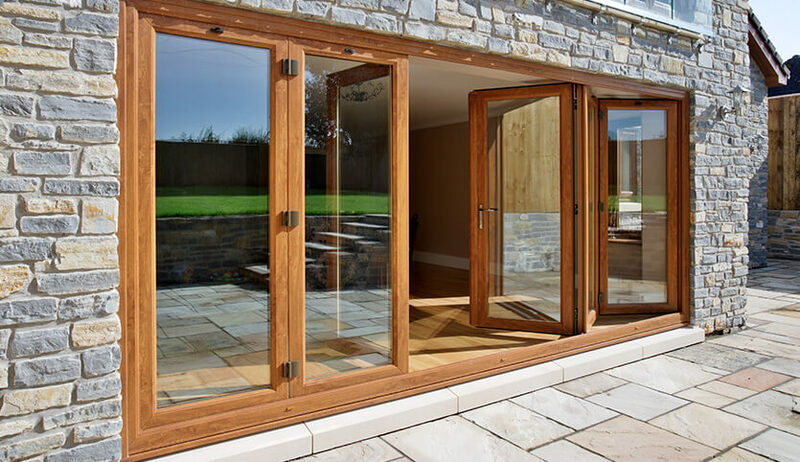 Our bi-fold doors are available with a range of different threshold options. Choose a low threshold for easy wheelchair or pushchair access. To improve weatherproofing, opt for a raised storm proof threshold. All our bi-fold doors are tested to the highest industry standards. 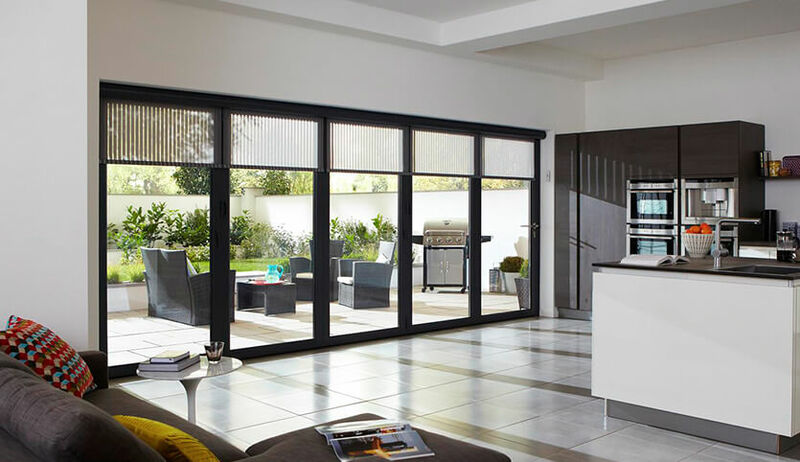 When you want the perfect combination of style and performance, choose bi-fold doors from FineLine.